Deborah is a hospice nurse, taking care of those with terminal illnesses nearing the end of their life. She's known for "sticking", not giving up on her patients. She needs this exact trait when her husband comes home from his third tour of duty in Iraq a broken man. He is very distant and obviously suffering. When Deborah gets her next assignment with a crotchety professor with no family, she doesn't realize that he'll help her as much as she helps him. This book has three very interesting subject matters that could hold a story by themselves: end-of-life hospice care, being the wife of a returning vet with PTSD, and a WWII Japanese pilot who dropped a bomb on the Oregon coast, setting fire to the forests. At first, I was a little irritated that Kiernan was combining these three powerful stories together in to one, but it worked. The WWII story was from the patient which taught lessons to Deb about how to best care for her husband. In the beginning, I was much more drawn to Deb's story and when the narrative switched over to the Japanese pilot, it was a bit slower. Eventually I got used to the switch of pace in the book. I was moved by this book. You can't help but wonder how you would react if you were in Deborah's situation and how you would handle your husband returning a broken man. The ending almost had me in tears, which is very unusual for me. I'm sure some people could find this book depressing. I, on the other hand, found it rather uplifting and hopeful. This is my second novel by Kiernan (read my review for his other work, The Curiosity). I find his writing style easy to get in to and hard to put down. I'll be sure to pick up any other fiction work he puts out in the future. One of my best reads of the year! First Line: "All I knew at the beginning was that the first two nurses assigned to the Professor had not lasted twelve days, and now it was my turn." Stephen P. Kiernan is a graduate of Johns Hopkins University and the University of Iowa Writers' Workshop. During his more than twenty years as a journalist, he has won numerous awards, including the Joseph L. Brechner Freedom of Information Award, the Edward Willis Scripps Award for Distinguished Service to the First Amendment, and the George Polk Award. Kiernan is the author ofThe Curiosity, his first novel, as well as two nonfiction books. He lives in Vermont with his two sons. Find out more about Stephen at his website and connect with him on Facebook. Helen and Jenny had very different childhoods. Helen was raised by an abusive father and narcissistic mother. Jenny had nothing but love with her parents. When Jenny found out that she was adopted in her teenage years, she tried to question her mom about it by couldn't get anything out of her. She didn't want to hurt her adoptive mother's feelings but knew that she wanted to search for her family. It took 50-some odd years for Jenny to finally become successful in her search and meet her sister, Helen. The two start to piece together how they are connected. There aren't many books where the cover spoils the book. The two sisters don't even know they are twins until the book has been completed! They need to write an afterwards for the book to explain this. Why bother having this as a prominent book description? That should have been left for the afterwards to handle as a nice surprise. Instead, I spent the whole book wondering when I was going to find out that they were twins. Aside from this weird spoiler, the book was quite interesting. I really don't get Helen's mother. To react in such a way to your own children, both Helen and George, and not care at all about them but to then treat your grandchildren with love; how does this happen? I'd love to hear a psychologist's explanation on why this was the case. First Line: "This could be the most important email I ever send." Colleen's husband died of a tragic accident while she was still pregnant with her 3rd child. She does her best to raise her children while still working as a teacher. Years later, her daughter Sandy is a grown woman with her old child when Colleen learns that Sandy's husband has ALS. There's no cure for ALS. Colleen flies down to help her daughter manage the house, the children, and take care of her ailing husband. This book is obviously rife with emotion as it explores how a family, including children, react to a father slowly losing his muscle abilities and choosing how he'll finish his life. However none of the reactions are really what one would expect. Tony: The father with ALS. Though he is the one that's ill, this book doesn't revolve around him, as much as he would like it to. As any person with an illness would feel self-pity. One would hope that eventually you'd move on to another emotion and try to live each day to its fullest. Unfortunately Tony never gets past self-pity. As the book continues, I found myself getting more annoyed with him and then annoyed with myself for getting annoyed with him. About 75% of the way through the book, it's finally explained that many ALS patients go through these types of emotions and then I found the remaining 25% of the book Tony was bearable. I'm not sure if it was a switch in me that accepted this behaviour as part of the disease or he actually became more bearable. Either way, I wish this had been told earlier in the book. I want to believe I would have been more accepting. Colleen: The mother taking care of her daughter and son-in-law. Overall, the least annoying of all the characters. There's some self-righteousness in what she's doing but it's justified. She has some really odd reactions to her daughter spilling out her emotions. Sandy: The daughter. Wow, what a piece of work. She fought her mom every step of the way, completely ungrateful for all help that was offered. As someone who has lost her mom, I can't even imagine doing this. I'd be so grateful just for a moment more. The story tries to pin down why Sandy acts the way she does but the reasoning isn't enough for me to cause the kind of hatred shown. To quote Colleen, "Sandy misunderstood me, intentionally, it seemed." That's right. She knowingly despised her mother and held her responsible for something small that happened when she was a kid. Lillian and Aldo: Parents of Tony, who think throwing money at the problem will solve it. They have no interest in helping their son beyond monetary assistance. It was kind of despicable. And then there's the girl who lives in Colleen's house. I can't remember her name and couldn't find it while flipping through the book. This side story was seemingly pointless to me. There were long swaths where she wasn't mentioned other than "I wonder how she's doing". Overall, this book will certainly make you feel something. There are some great moments between Colleen and Tony. It's too bad there wasn't more of that. But I understand the point of the book it to not show a happy family, but a bit more nitty gritty of a story on how ALS can affect a family. Thank you to TLC Book Tours for letting me be a part of this tour!. First Line: "Time robs us of chances for reconciliation." A former carpenter and mother of five, Marylee MacDonald began writing when her last child left for college. Her fiction has won the Jeanne Leiby Chapbook Award, the Barry Hannah Prize, the Ron Rash Award, the Matt Clark Prize, and the ALR Fiction Award. Her novel, Montpelier Tomorrow, was a Finalist in the 2014 IPPY Awards and the Faulkner-Wisdom Prize. 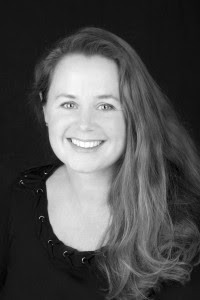 She is widely published in literary magazines. Find out more about Marylee at her website, see what she's pinning on Pinterest, and connect with her on Facebook and Twitter. You can also follow her blog and add her to your circles on Google+. Mistress of the Court by Laura Purcell & Giveaway! Henrietta Howard is poor and wife to an abusive husband. The only things she cherishes are her son, Henry, and her English last name. She uses that name to find a position with Sophia, the grandmother of King George II, while the family is still in Hanover, waiting for their opportunity to claim the throne. Unfortunately Sophia passes away before this happens, but Henrietta secures a position with her granddaughter in law, Caroline, the future Queen of England. When the family moves back to England, Henrietta finds herself a part of royal court. However she is still abused by her husband who serves King George I. When George I banishes Caroline and her husband from court, Henrietta chooses serving them over staying with her family. I love, love, love British royalty historical fiction. But it has to be done right; historical fiction can get very dry. Thankfully this book was anything but! I've had a lot of luck with historical fiction recently and I'm happy that this book continued my streak. I was able to both learn more about George I/George II and be entertained by the characters and drama that encircled them. It did take me a little time to get in to this book though. For some reason, I wasn't prepared for the story to be narrated by both Henrietta and Caroline so whenever the narration switched, I got confused about who was now narrating. Eventually I got in to the flow and was used to it. There's a blurb at the end of the book from the author and it sounds like there are more books planned to shed light on other people in this time. I'd be interested in reading these! First Line: "Pain cracked across the back of Henrietta's skull, filling her vision with white light." 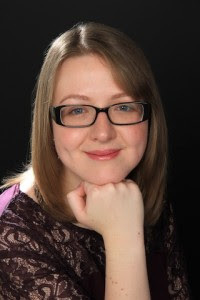 Laura Purcell is a writer, history fan and guinea pig lover living in Colchester. She is writing a series of novels about the women who loved (and hated!) the Hanoverian monarchs. Learn more at her website. 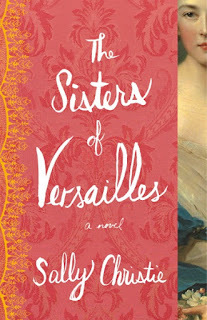 The Sisters of Versailles Giveaway! We have one copy of The Sisters of Versailles to give away! You can read my review to see how much I enjoyed it! To enter, you must have a Canadian or American address to send the book to. Just submit a comment on this post or my review post and I'll enter you to win a copy of the book. Enter by 11:59PM EST September 18th for your chance to win! In the meantime, let this whet your appetite. In Louis XV's court of the 18th century, drama can be found everywhere. Both ladies and men alike vie for the attentions of Louis XV. When it becomes clear that Louis's eye is starting to wander from his wife, his advisors look for a women with no political interests that could catch his eyes. They don't need to look far, as one of the Queen's new ladies in waiting is Louise de Mailly-Nesle, the eldest of five Nesle sisters. So starts Louis' affair with four of the five Nesle sisters. The first is Louise, the eldest, but also the most boring. The next is Pauline, second eldest and more interested in power and controlling the country. Third is Marie-Anne, the greediest but most beautiful of the three. She only cares about herself and gathering more power. Finally is Diane, the glutton of the family but harmless in her intentions. Only Hortense avoid's Louis' grip, likely due to her pious nature. Historical fictions usually tell the story of Louis XIV. Having read a bit about him, it was interesting to be introduced to a royal I don't know too much about, Louis XIV's grandson. That said, after this book I still don't know too much about him because this book's purpose was to tell the story of the sisters. I don't mind not liking characters in a book but these characters were just despicable. You would think these sisters were strangers for the way they treated each other. Promises were almost always broken, sisters were banished from court, and they did other horrible things to each other. This intrigued me for most of the book but by the end I was tired of these sisters and just wanted them to get what they deserved, which none of them really did. I appreciate Christie bringing this story to life. Otherwise I'd never know anything about it. After doing some research, I learned that the Nesle sisters weren't even the most famous mistress of Louis XIV. They were in his life before the most famous mistress. When I hop on to the internet to learn more after reading a book I know that I enjoyed the book! I'll look for the next book in the series. Wait! We'll soon be announcing a giveaway!! First Line: "We were five sisters and four became mistresses of our king." Easter at Princeton means scramble time as seniors try to finish their thesis. Paul is still working on his, which involves trying to unlock the secrets of an old mysterious text the Hypnerotomachia. Tom, his friend, helps him out as his father was also an academic that focused on this book before he was killed in a car crash. Relationships and egos get in the way and slow down the process, which becomes even more dangerous when a research assistant is flung out of a window. Can they finally crack the code? I really enjoy these types of books. Based on something that does exist, coming up with a story of the secrets that it holds. It seems like this book isn't too well loved and I think I can understand why. There are many points in this story where the focus is too strong on the characters and all work on solving the mystery of the book seems to stop for full chapters. It makes the story rather jilted because the payoff for the reader is what message the book actually contains, not about the characters involved in this book. I think the other issue readers have with the book is the fact that the author mentions Princeton a few times every couple of pages, to make sure we haven't forgotten this book takes place at such a prestigious school. It does get old after a while, but I found myself ignoring it. There were also weird jumps in time where the main character would reflect back on something that had happened in the past. I found it difficult to figure out whether we were in present time or past time when this happened as it seemed rather sudden and I wasn't sure when we were back in the present. Despite these two issues, I still enjoyed the book. The payoff at the end was worth it to me, even though it was a rather pathetic ending for the characters. First Line: "Like many of us, I think, my father spent the measure of his life piecing together a story he would never understand."